Astilbes are deer resistant perennial flowers that bloom in spring and summer. They have soft feathery purple, lavender, red, white or multiple shades of pink blooms with glossy fern like foliage. Some Astilbes have bronze foliage and the very newest Astilbes have deep brown foliage. They grow well in shady areas were other flowers won't thrive. Their flower clusters vary in size from 6 inches to 2 feet and their height ranges from 6 inches to 3 1/2 feet, depending on the variety. Astilbe's tend to attract butterflies. 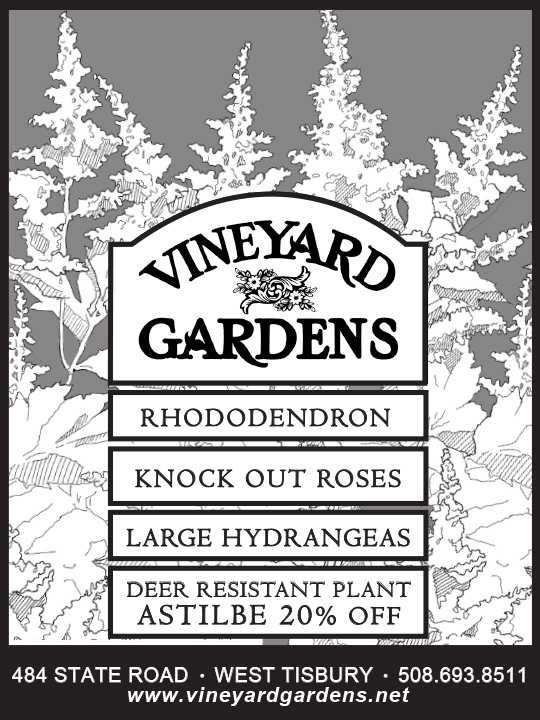 At Vineyard Gardens we carry 25-30 different cultivars. Astilbe chinensis Pumila forms a ground cover and the blooms rise about 8-12“ above the foliage. A couple of dwarf Astilbes are Sprite and Hennie Graafland. Astilbe Ostrich Plume is a tall pink Astilbe whose flowers are pendulous instead of upright like other Astilbes. Astilbe Superba is one of the tallest pinks. Astilbes spread quickly and form broad clumps.